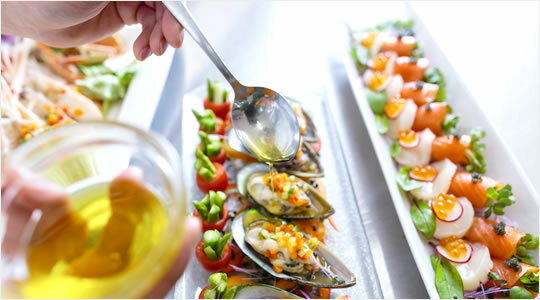 the Food International School of Cookery and Confectionery is the place for you! 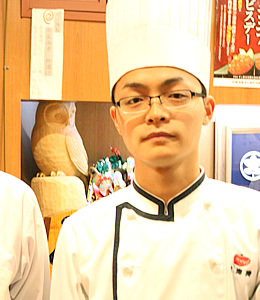 At our school, you will study towards a Japanese National Diploma in cookery or confectionery hygiene. 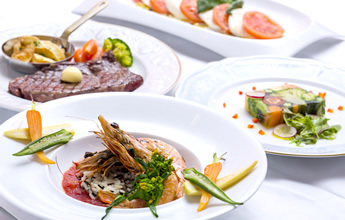 the spirit of hospitality to international standards. 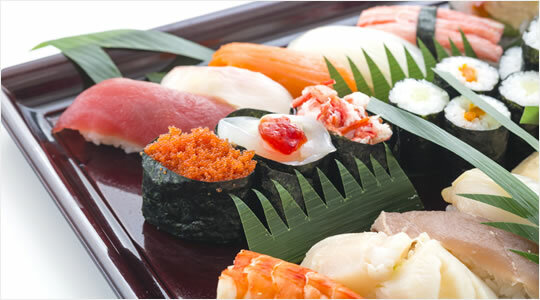 Japanese cuisine is on Unesco's list of intangible cultural treasures. It makes the most of simple, fresh ingredients, arranging dishes and using colors to create a sense of season and bringing out the taste of food with the subtle, permeating savor of stock. Japan is world-renowned for its exquisite culinary skills and spirit of hospitality. As the 2020 Tokyo Olympics approach, there will be an increasing demand for master chefs capable of serving Japanese dishes. Our school is in Niigata, a beautiful region set amid sea, mountains and rivers, famous for rice and vegetables grown with our delicious water, and, of course, fish. Niigata truly is the food treasury of Japan. 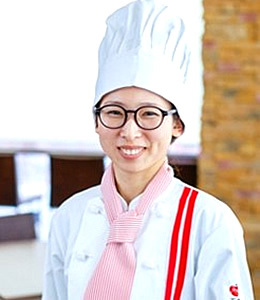 At our school you will learn to be a master chef capable of using a rich variety of ingredients in order both to display your international-standard cooking and hospitality skills for the benefit of overseas visitors to Japan, and to serve real Japanese dishes in foreign countries. At the same time you will learn to provide, in any setting, both fine Japanese cuisine and much-loved specialties from other culinary traditions. 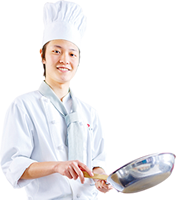 If you are a licensed cook, you can work in a restaurant that serves Japanese cuisine! Work in your own country or any country you like! During lessons, we were able to practice different types of cooking, and to eat what we had made. The teachers' explanations were easy to understand, and we often worked as interns to gain work experience in a company. Thanks to that, after I graduated I found a job in a Japanese restaurant which was my goal. My ambition is to open a sushi restaurant back home in Thailand. I managed to get an internal job offer from a large Japanese company which was positively trying to recruit overseas students. 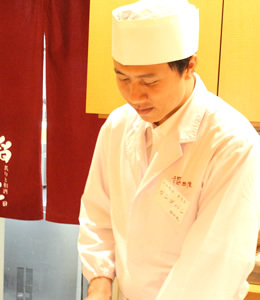 My experience in a sushi restaurant in Niigata where I worked as an intern was also useful in finding a job. The teachers at Food help each of us individually to realize our ambitions by teaching us many different things and giving us different experiences. After graduation, I want to put what I learned at Food into practice and work towards owning my own restaurant. I love bread and cakes and want to make them my career ! I came to Food because another Chinese student I knew was studying here. We studied lots of cake recipes in very well-equipped surroundings. I would like some day to open my own boulangerie/patisserie. School events and lessons are fun! The teachers at Food are friendly and helpful and the school is very well equipped. 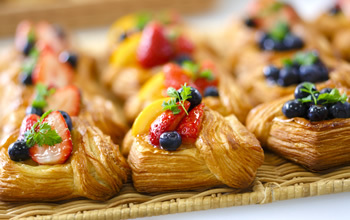 We enjoy many fun events such as sports competitions and cake competions which we go to see. 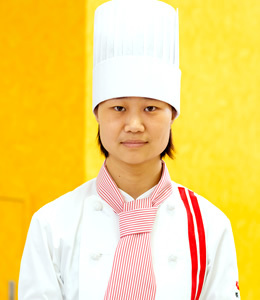 I am working hard to become a pastry chef because I want to see people smiling when they eat my cakes. The school also has its own support system! And continue to provide help and support for two years after graduation. 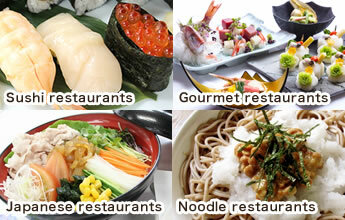 Open Japanese restaurants in your country. We help you to find accommodation and part-time work. With the help of our associated real estate agent, we provide information about apartments that are conveniently located for commuting to the school. We provide information about part-time jobs which you can do while you are studying. We also provide help with applications for part-time jobs. at our open campus day! + Take part in our open campus day.